A conversation began between myself and BambooHRs CTO Ryan about what cool things could be built using BambooHRs API. The idea to have an app that helps you learn and remember your co-workers names appealed to him. Using his idea, I began to draft a simple app that would accomplish this objective. The app is simple. Once you enter your login credentials, you have access to your company’s database of photos and names. When you begin, the viewport contains an image of your co-worker. Once you touch the screen, the employees name will appear. Once you touch again, a new photo will appear. This is how the app looked once I got the API working. 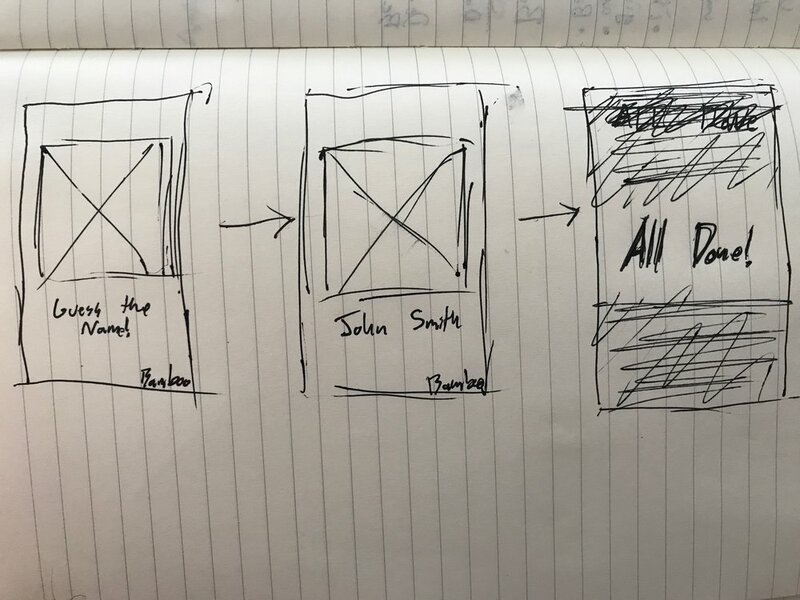 Once the API was implemented and functionality was completely built, I shifted my focus to the visual design. Lessons learned: know the constraints of the API before beginning the project. 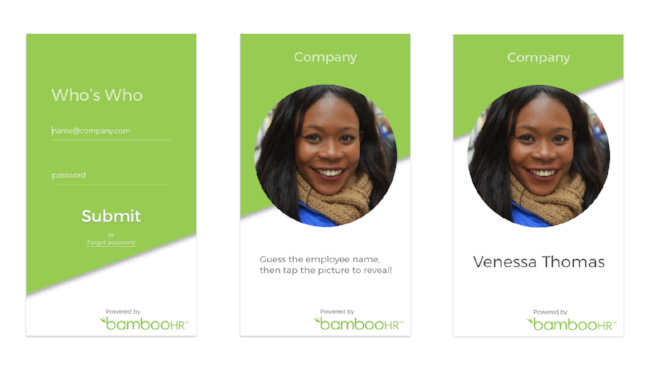 The API limits access to employee photos only to people who have admin rights in their instance of BambooHR. The app remains unreleased for this reason.